Over 25 million Americans suffer from some type of incontinence, making it one of the most widespread conditions in this country. It can profoundly affect people's social, family and work lives. And yet, studies have shown that most people wait years before even bringing the subject up with a doctor. Embarrassment, shame, and thinking that incontinence is just a part of aging are all reasons this condition is left untreated in so many. But we are here to tell you that incontinence, while it may be common, is definitely not normal. Nor is it anything that you should be ashamed of. It is a health condition that can and should be treated. SIGN UP for one of the four actions listed below to pledge your commitment to The NAFC 8-Week Challenge. We'll help you along the way! You will receive a series of 4 emails over the 8 week period with encouragement, tools, and tips to help you complete your goal. SIGN UP TODAY AND BE ON YOUR WAY TO BETTER BLADDER HEALTH ! 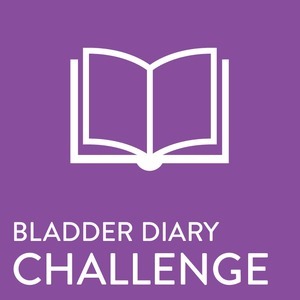 A bladder diary helps you keep track of your daily habits and symptoms, allowing you to see trends over time and learn what foods and drinks may be triggering your incontinence. Plus, it gives your doctor an inside peek at what you're experiencing and allows him to create a more customized treatment plan for you. Sign up below to participate in The NAFC 8-Week Challenge! By opting into the NAFC mailing list, you are agreeing to receive the NAFC newsletter, which includes the latest news on bladder and bowel health, information about research opportunities, and updates on new events and happenings at NAFC. Yes! Please add me to your mailing list so that I may receive the NAFC Newsletter in addition to the 8-week challenge. No, I only want to receive emails related to the 8-week challenge. Congratulations! You've taken the first step in taking charge of your bladder health! Please check your email and confirm your participation in the NAFC 8-Week Challenge. You'll then receive your first email from us with tips and tricks to help you along the way. Sometimes what we eat can greatly affect our bladder health. Additionally, eating healthy can help keep your weight in check, which can aid in incontinence. Learn about what foods are good for your bladder and some of the foods you may want to try eliminating for better bladder function. Sign up below to participate in The NAFC 8-Week Challenge! Strengthening the pelvic floor is a first line of defense against incontinence and can help ease or even eliminate symptoms for many. Adding them to your daily routine is easier than you think! Learn the best moves to add to your workout and discover tips to add them in throughout your day. * Sign up below to participate in The NAFC 8-Week Challenge! *Always consult with your Doctor or Physical Therapist before beginning any new exercise routine. Talking with your doctor about your incontinence doesn't have to be embarrassing. We'll help you find a qualified doctor and share tips on how to prepare for your appointment so that your doctor can create a customized treatment plan that's just right for you. Sign up below to participate in The NAFC 8-Week Challenge!